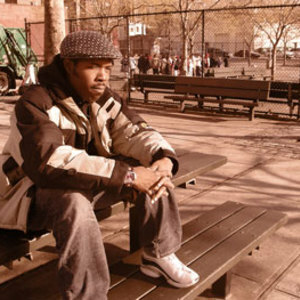 Jneiro Jarel (born Omar Gilyard) is a Philadelphia-based hip hop producer. Noted for his abstract style, he is also known for his beat-making alias Dr. Who Dat? and his group Shape of Broad Minds, who released both their debut EP and album on Lex Records in the summer of 2007. Jneiro grew up in Brooklyn, and moved out of the Brownsville section at the age of 5. His mother was in the army, and as a result, he lived in many places (Maryland, Arizona, Georgia, etc.). Finally touching down in Houston, Texas in the mid 80's, where his cousin "DJ Starr" put him on to hip hop at an early age. At the age of 14, Jneiro Jarel started taking music more seriously, and formed a group in which he produced, called "The Slum Kids" aka ?Rhythmic Crew? ('92). This group consisted of Aahtue and Nahuma. In 1998, Jneiro Jarel felt he had to leave the group and relocate back to NY in order to broaden his musical horizon. In 2003 he was discovered by Hank Shocklee (Public Enemy) and opened up for Julie Dexter at Hank's event "Soul Vibration". Jneiro Jarel produces a wide range of styles from Acid Jazz, Afro-Brazilian, Hip-Hop to Broken Beat. He is currently putting out projects with Kindred Spirits / Rush Hour, as well as his most recent venture "Label Who? ".